Product prices and availability are accurate as of 2019-04-22 18:56:46 UTC and are subject to change. Any price and availability information displayed on http://www.amazon.com/ at the time of purchase will apply to the purchase of this product. 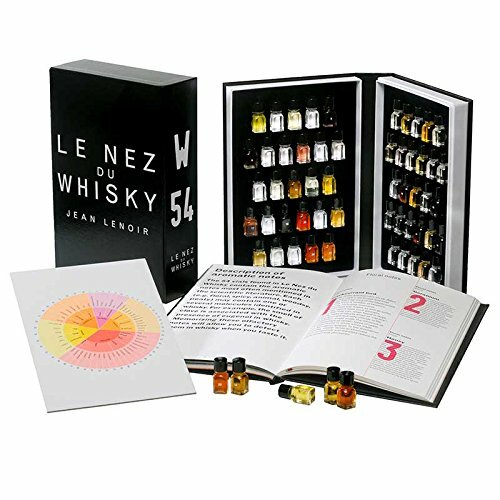 The ultimate whisky education kit developed by expert Jean Lenoir in collaboration with Whisky Master Charles MacLean is the ultimate gift for all whisky lovers. Le Nez du Whisky 54 Aroma Essence Kit (P/N 10003000). Develop your olfactory memory to better enjoy the aromas of whisky with 54 vials of exceptional whisky essential oils. A beautifully illustrated book is included, introducing the world's whisky regions, its crafting process and an index of over 1,200 whiskies classified by aroma. Presented in a luxurious box set.